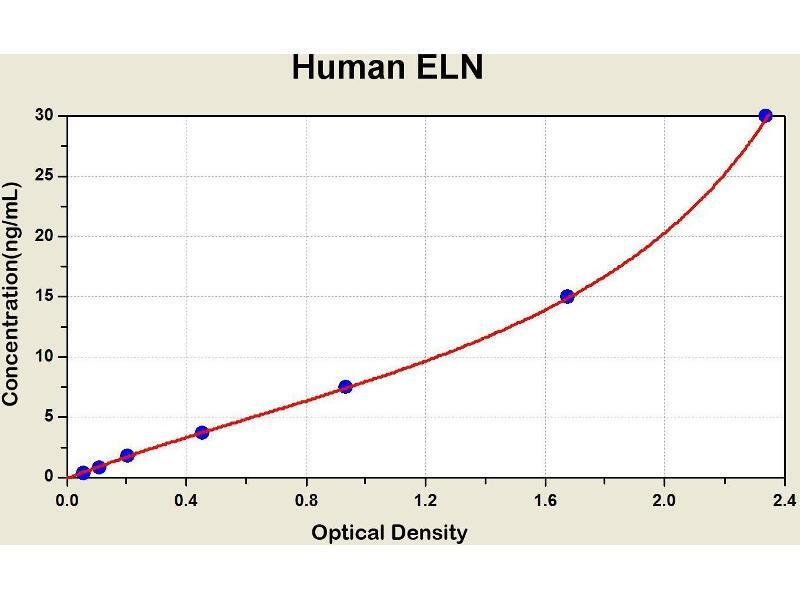 Diagramm of the ELISA kit to detect Human ELNwith the optical density on the x-axis and the concentration on the y-axis. 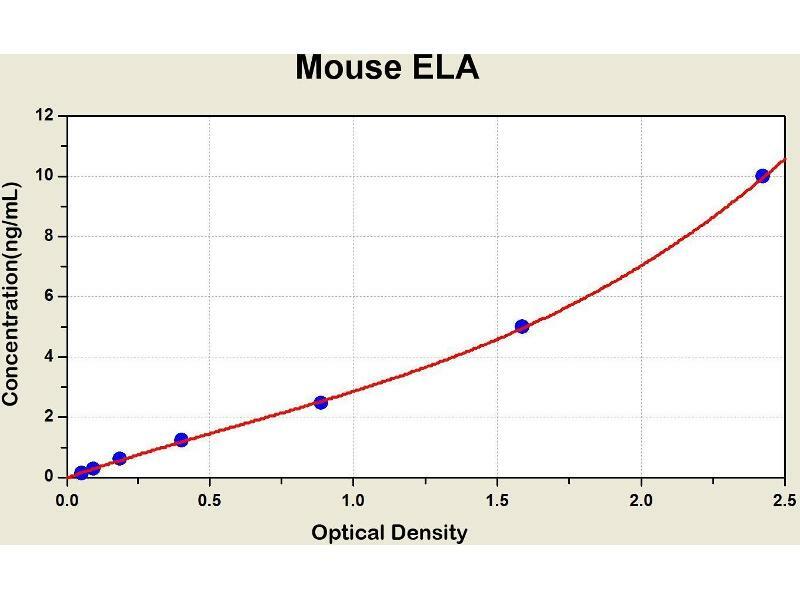 Diagramm of the ELISA kit to detect Mouse ELAwith the optical density on the x-axis and the concentration on the y-axis. 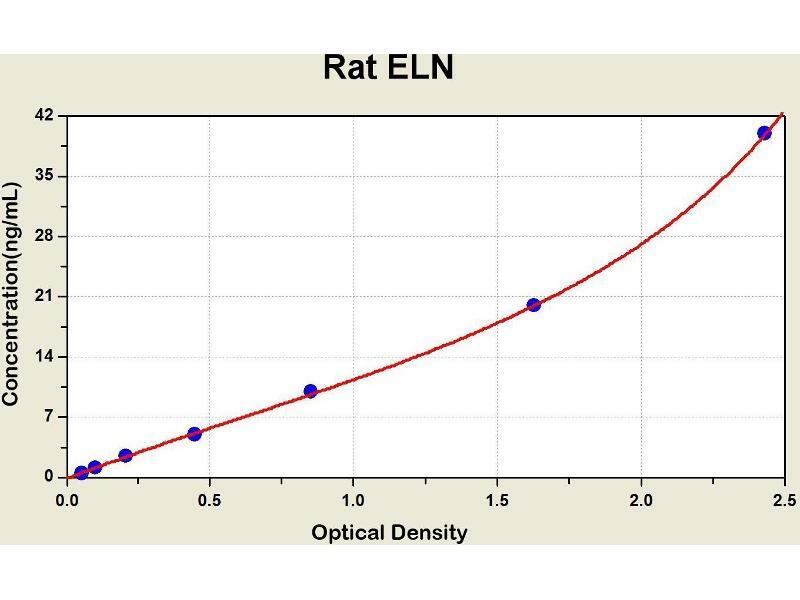 Diagramm of the ELISA kit to detect Rat ELNwith the optical density on the x-axis and the concentration on the y-axis. 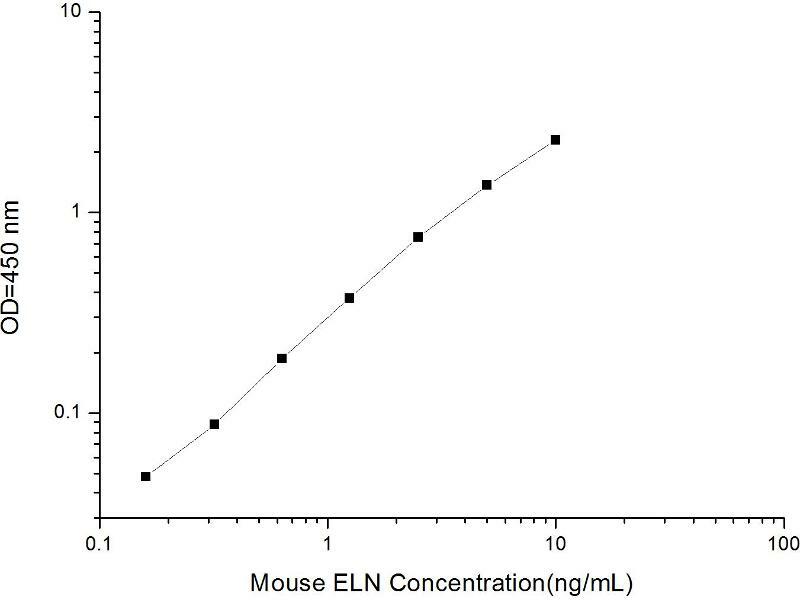 This gene encodes a protein that is one of the two components of elastic fibers. 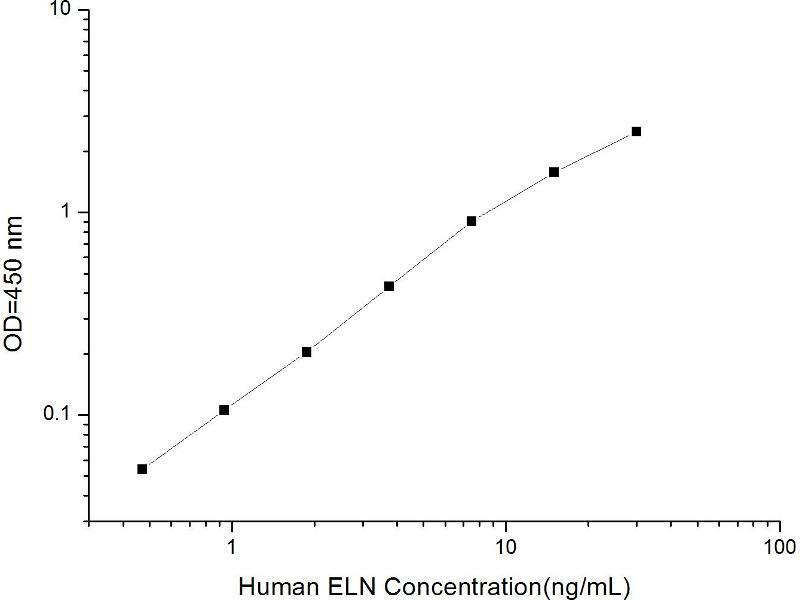 The encoded protein is rich in hydrophobic amino acids such as glycine and proline, which form mobile hydrophobic regions bounded by crosslinks between lysine residues. 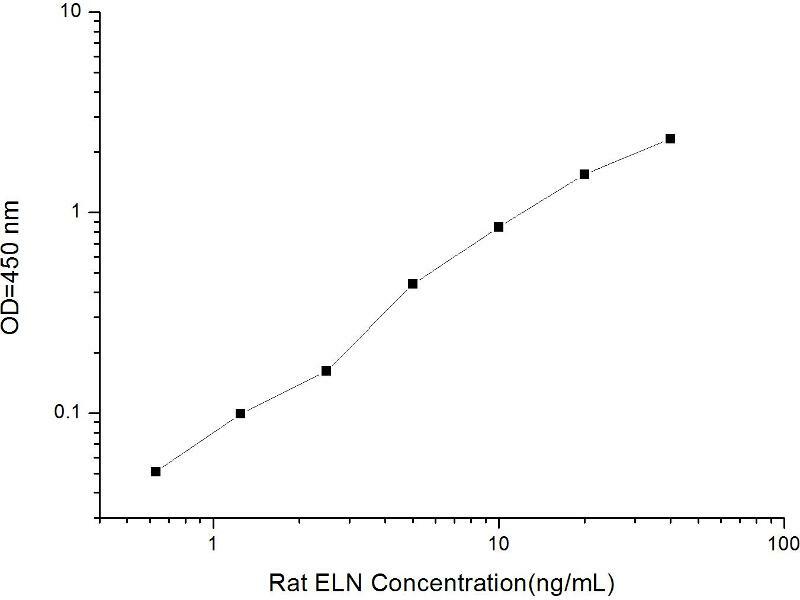 Deletions and mutations in this gene are associated with supravalvular aortic stenosis (SVAS) and autosomal dominant cutis laxa. Multiple transcript variants encoding different isoforms have been found for this gene.